While in store this week we found another amazing unadvertised deal! 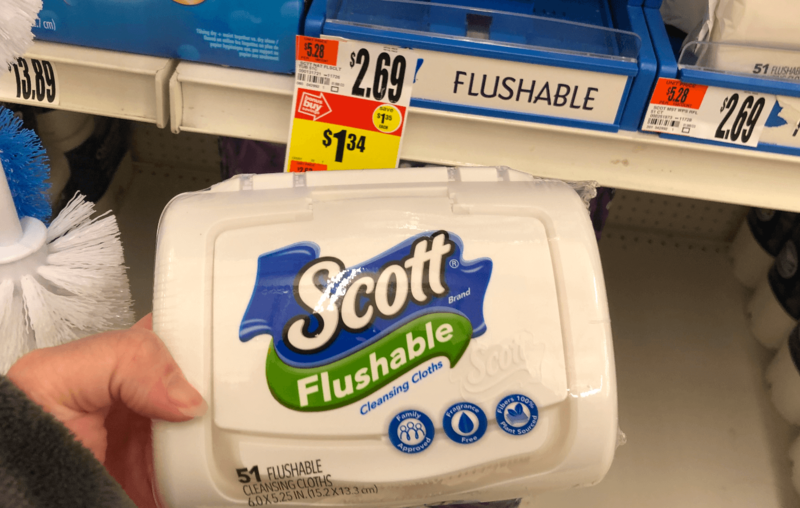 The Scott Flushable wipes 51ct. Tub is on sale for $1.34 each! Additionally the Cottonelle Flushable Wipes 42ct Soft Pack is also on sale for $1.74 each, and the Flushable Twin pack is on sale for $2.39 each! Our store tags only listed the items as on sale not as on “While Supplies Last” for Clearance. You’ll also need to check your individual stores for pricing and participation since deals can vary. Remember just because there is no tag doesn’t mean it’s not that price, try price checking! as always deals can be regional so price check before heading to check out!